The 2018 Martin Luther King Jr. Weekend begun with the Martin Luther King Jr. Community Hospital "Share The Dream Luncheon" in Los Angeles, California at the Dorothy Chandler Pavilion. The luncheon is representative of MLK's dream - highlighting people for their work within their community and the impact they've had on others. On hand to host the luncheon was 'Blackish' Actor Anthony Anderson who will also serve as NAACP Image Awards on the Martin Luther King Jr. Holiday on January 15th. 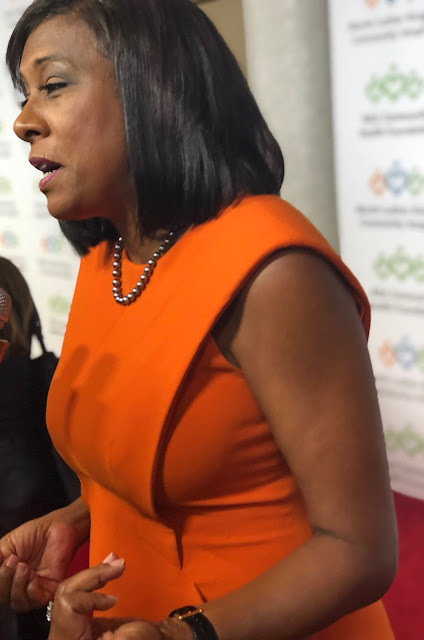 Being honored at the event was News Icon of CBS LA Pat Harvey who stressed the importance of eating healthy and how the luncheon is about bringing health to the community. Being honored as well was 'This Is Us' Actress Susan Kelechi Watson. It's important to remember on this holiday weekend is to give back to the community and recognize those who do.